One of the functions of a computer is to help us work more productively, so we can get work finished more quickly and get on to other things. Using keystroke shortcuts can save us time rather than clicking around menus with our mouse. If you haven’t tried these, here’s a few that I’ve memorized and which use the function keys along the top of the keyboard. The list isn’t comprehensive, just the ones I’ve found useful to try to memorize. Shift-F3: Probably the keystroke combination I find most useful of them all when editing documents. With your cursor on a word or highlighted words, this combination will cycle through initial capital, all capitals or all lower case. No need to delete anything and retype as upper/lower case. Shift-F5: Starting a new session on a document the next day? Well, this combination will take you straight to where you left off yesterday. F2: Moves text once; just highlight the text you want to move, press F2, move the cursor to the new location for text and press Enter. Slightly quicker than cut and paste (Ctrl-X and Ctrl-V) but works just once. Ctrl-F3: Cut to the Spike. Ctrl-Shift-F3: Paste Spike contents into document. Shift-F5: Download email messages for all accounts. F9: Sync notes to Evernote Web. F6: Selects your current page’s URL (and puts the cursor in the address bar). F11: Toggle full screen/windowed mode. Alt-F4: This one’s pretty useful if you want to bypass installing Windows updates before your PC shuts down. You can tell if there are updates to install as the Shutdown button has a yellow exclamation mark. Just press Alt-F4 instead and from the Shut Down menu you can choose Shut down rather than Install updates and shut down. Well, those are the function key shortcuts I find most useful for the applications I use most. 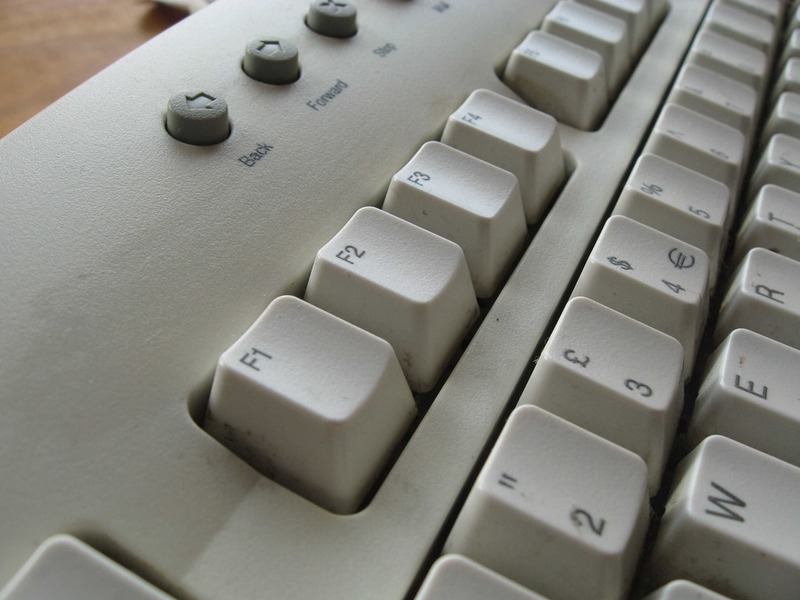 Do you have any great function key shortcuts for another application? Drop a comment below.